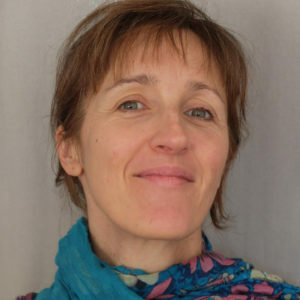 Graduated from Ecole Centrale Paris, Anne Sentenac is a CNRS Research Director at Fresnel Institute in Marseille, France. After a PhD thesis on electromagnetic wave propagation in complex media, she worked on the design of optical components and on computational imaging. With her team, she has developed a pioneering approach to improve the resolution of optical microscopes using a rigorous image modeling and sophisticated inverse computation techniques. She has been nominated as an OSA fellow for her contributions to the solution of optical inverse problems, computational imaging and high-resolution microscopy.